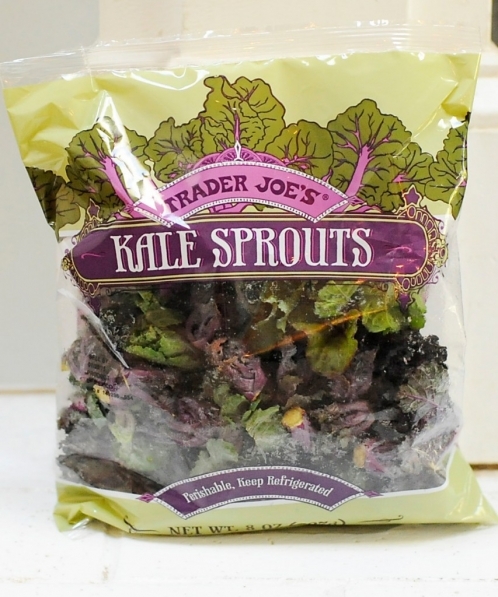 I was at Trader Joe’s earlier today and ran across these cool things….Kale Sprouts or also called Kalettes. Whole Foods carries them as well. Anyway, I love finding new things that are both simple and delicious! 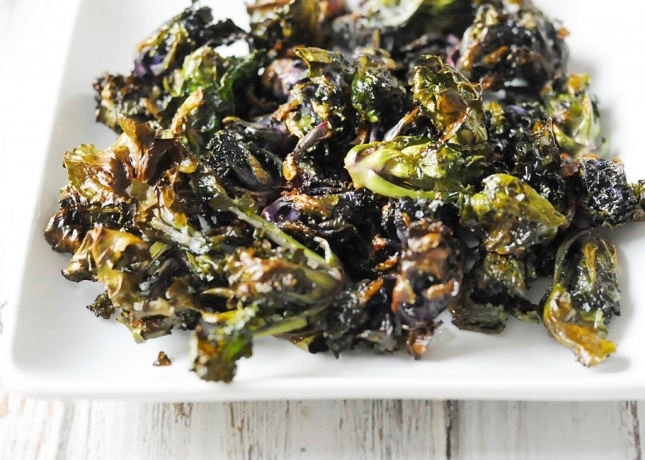 They are tasty like brussels sprouts but are super nutritious like kale. And, all I had to do it wash them and then add some oil, salt and pepper! Perfect!! I didn’t even cut them in half or cut the steams off like I do with brussels sprouts. Maybe I should have, but then they wouldn’t have been as simple to make and tonight I needed quick and simple. But honestly, I don’t think they needed to be cut. Look at that color? They are just brimming with antioxidants!! I love these! I hate to admit it but Scott and I ate all of them before the kids got home from playing. So I can’t say if they liked them out not (sadly we didn’t save them a single one!) but Scott and I loved them! Enjoy this simple side and have a great weekend! 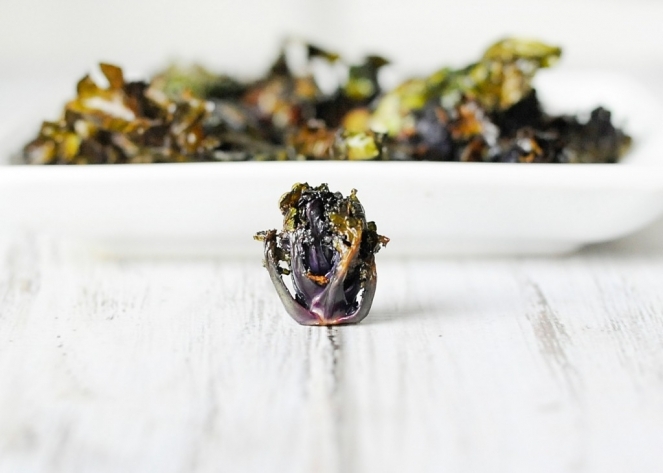 Rinse kale sprouts in colander and dry well with paper towel. 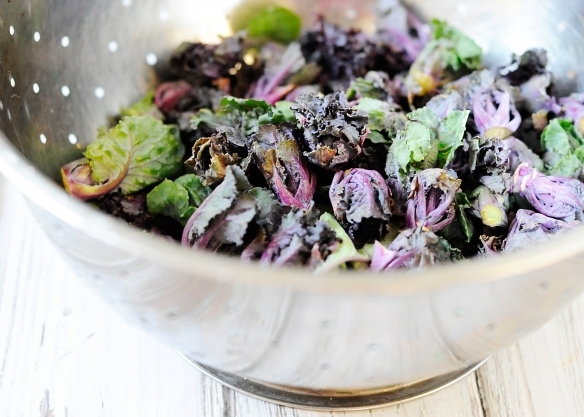 Mix melted coconut oil with the sprouts in medium bowl and then add he salt. Cook for 20 or so minutes (turning them so they can cook evenly) until they start to turn brown and get crispy. Once almost done, turn the oven on broil to 500 degrees for about 3-5 minutes.